Updates from the field, about the work of Bethany Augliere, including research, photography and writing. Hi everyone! 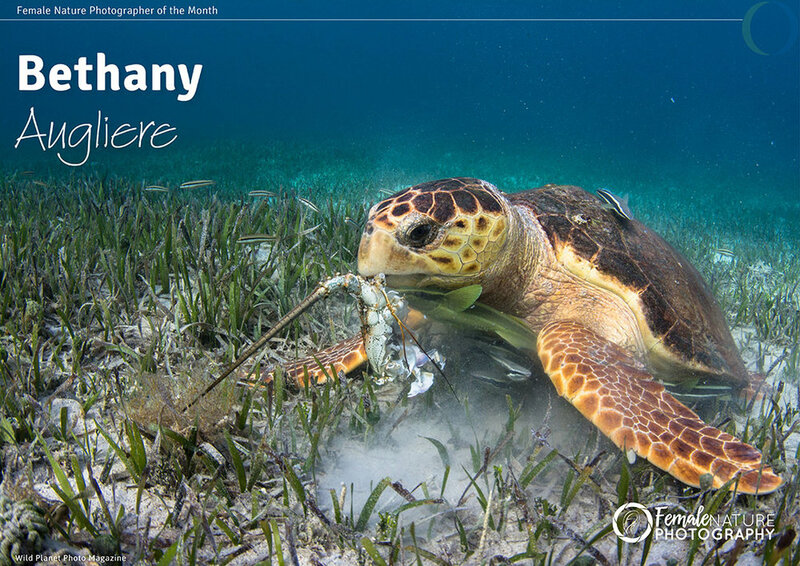 I'm excited to announce that I was selected to be featured as the female nature photographer of the month in the February issue of Wild Planet Photo Magazine! I shot this image of a loggerhead sea turtle chowing down on a lobster, while freediving in a seagrass meadow of the Bahamas. I was leading a research expedition with the Wild Dolphin Project. Loggerhead sea turtles are listed as 'vulnerable' according to the IUCN.